For over a century, the Belgian chocolatier Neuhaus has produced some of the world’s most loved luxury chocolates. 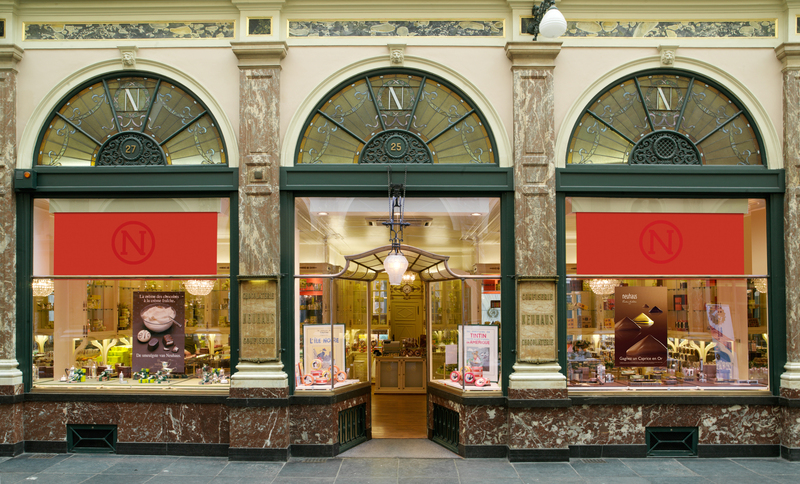 The company goes back to 1857, when Jean Neuhaus, a Swiss immigrant and pharmacist opened his first store in the Galeries Royales Saint-Hubert in central Brussels, not far from the Grand Place. 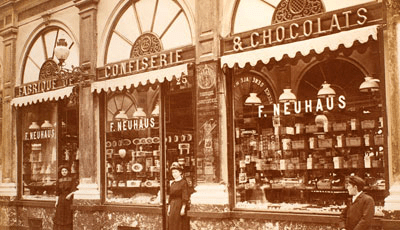 Jean Neuhaus began as an apothecary, coating medicines in chocolate to make them more palatable. Over time, more chocolates were created and sold, including tablets and chocolate coated sweets. Gradually, the chocolates became more popular than the pharmaceuticals, and they came to occupy most of the shelf space. The instantly recognizable facade of the Neuhaus boutique in central Brussels as it stands today. It was the grandson of Jean Neuhaus, Jean Neuhaus II, who invented chocolates with a centre – which are today commonly known as pralines. And the Neuhaus family didn’t stop innovating there. Jean’s wife noticed that the packages used to wrap the pralines weren’t protecting them from getting crushed, so in 1915 the couple invented a gift box, called the “ballotin”, which was later patented. Today, this box is synonymous within Belgium, and wold-wide, with high standards for taste and luxury. It is in this traditional box that we sell most of our chocolates today, offering special gift-wrapping for most seasons. The Neuhaus family continued to contribute to the chocolate world. In 1958, Jean’s son-in-law, Adelson de Gavre, created new forms of pralines, including the Caprice and the Tentation. These were first revealed at Expo ’58, and they are still sought-after hallmarks of the Neuhaus collection today. Even though international demand and reputation continues to grow, all Neuhaus products are still made in Vlezenbeek, near Brussels. This assures that all standards for the production of luxury chocolate in the Belgian tradition are continued. These standards were recognized and rewarded in 2000, when Neuhaus proudly received the Royal Warrant of Appointment to the Belgian court. Today, over 1,500 selling points of Neuhaus chocolate span 50 countries. De Meersman is proud to share this fine tradition with Canadians. 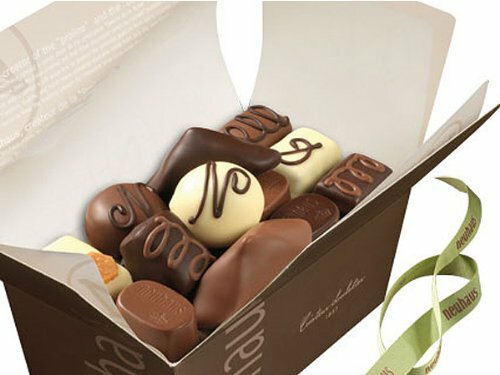 We offer Neuhaus chocolates in our store for our Toronto patrons, and for delivery across Canada via our Neuhaus online store.